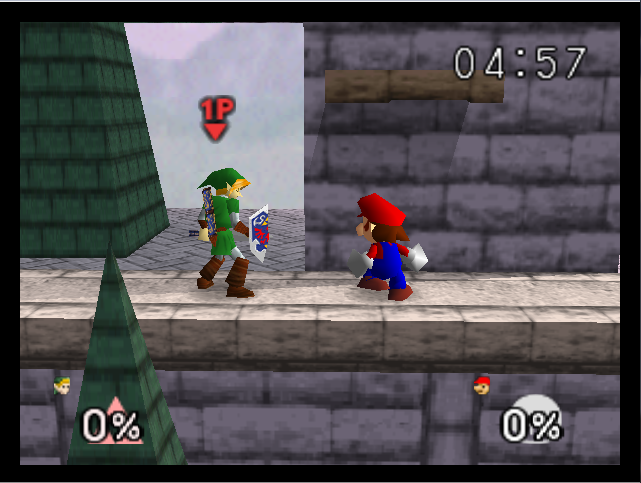 The CarrCom Blog: Worst to Best - Super Smash Bros. Worst to Best - Super Smash Bros.
Nintendo's Super Smash Bros. franchise is arguably one of their most successful - with every installment selling well over a million copies and earning critical and audience acclaim alike. The series is known for a creative new take on the fighting formula, and for bringing all of Nintendo's classic franchises into one package for the first time. Since it's inception in 1999, there are currently four games in the franchise across four different platforms; here, we I will rank them in terms of preference. Let's begin! The original Super Smash Bros. is enjoyable and certainly likeable, but it's not aged well for me personally, especially when you consider how much further it's sequels refined the formula. Those who are used to the large character and stage rosters, as well as the expansive single and multiplayer modes of the sequels may not find much left to relish in this first title. That's not to say it's bad though - far from it. It remains a fast paced fighter that is good fun with friends. Again, it's successors have improved the formula so much that it's slightly dated, but it's still a fun and nostalgic charmer that wins points for innovating fighting game conventions and kickstarting this amazing series. I never really got stuck into the 3DS version of Smash Bros. as much as it's Wii U counterpart - Nintendo did an superb job with converting the formula to a handheld device, which was surely not an easy task. The sharp, outlined visual style and slightly simplified game design make it more ideal for playing on the go in your own time, but the chaotic nature of the gameplay is still tricky to get to grips with for those used to the home console format. This is because it can be easy to damage your 3DS Circle Pad if you get too stuck into the relentless pace of hectic battles, and it can be tough to keep track of the characters when the camera is so zoomed out during multiplayer modes. Latency issues can also be a concern here and there - but, ignoring those flaws, this 3DS installment still offers an engrossing experience that fans will adore without a doubt, and is an extremely impressive effort to bring one of the best console games to a portable device. 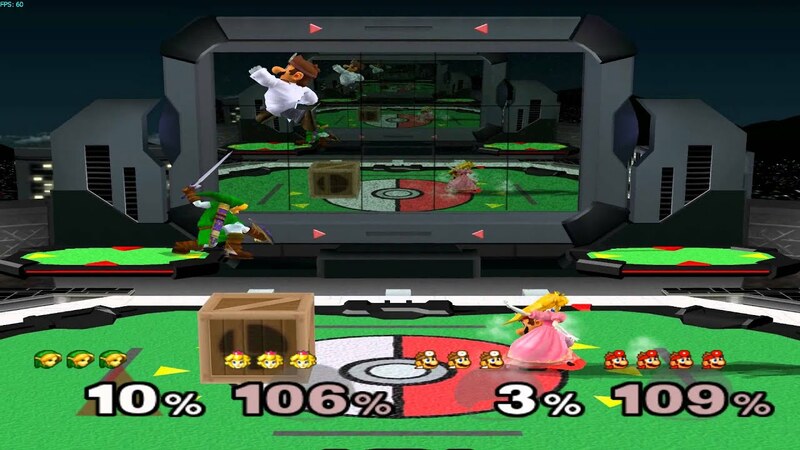 Upon launch, Brawl received critical acclaim but also some criticism, mainly aimed at it's different physics and pacing compared to Melee, it's predecessor. Whilst this all expanded into a ridiculous debate, there's still some truth behind these arguments - Brawl takes some time to get used to for players adjusted to Melee's gameplay style, but that doesn't detract from it's quality whatsoever. Brawl boasts a surprisingly engrossing single player mode, dubbed the Subspace Emissary, which features a full scale narrative that brings together every character across the Nintendo universe. It does get a tad boring as it goes on, but it's still an ambitious and unique effort to stir up the one player experience. The expanded lineup of characters, stages, and various multiplayer modes make playing with friends all the more compelling, and while the laggy online mode was a bitter disappointment, Brawl is still a fine entry to the series that, as is usual, ranks as one of the best games for it's system. Melee remains a personal favourite of mine thanks to a relentless pace during battles - I really do hate the whole 'physics' debate as you may have guessed, but Melee's faster and more fluid gameplay style when compared to Brawl is noticeable after so long. It doesn't make it better or worse from a critical standpoint - simply comes down to personal preference, and that is where Melee shines in spite of it's shortcomings. The single player Classic and All Star modes offer the standard exciting action, but the Adventure mode is too long and often boring, and the fact that it needs to be completed with all 25 characters just makes it all the more tedious. The multiplayer is of course where things truly shine - Melee's 64 player tournament mode is one of it's best features, and while the AI is pretty unbalanced, they still present a unique challenge, making the game as equally fun in single player fights as it is in multiplayer. Definitely one of the Gamecube's finest without question. 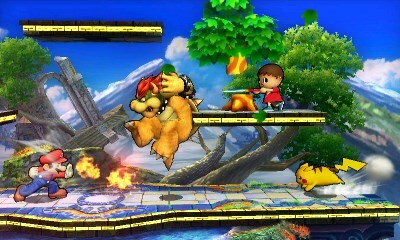 The Wii U installment disposed of many of the lengthy single player modes from previous instalments, and stuck with a simple Classic and All Star setup much like the N64 original. However, thanks to a slightly updated gameplay style that makes brilliant use of the GamePad as well as Nintendo Network's expanded features, Smash Bros. for Wii U becomes a much more addictive experience than any previous installment and one that will keep gamers occupied for years to come. The character roster is expanded even further, and some fighters are completely revamped to freshen things up; the visual style is also refined into something more colourful and vibrant than the previous games, which is a refreshing change. The eight player fights are a little too busy and forced into the game without much thought as to whether or not they truly work - and in my eyes, they're really not as fun as the simple 2-4 player style. But with that said, the Wii U installment remains a masterful experience without question - all of it's features including the more flexible stage builder, diverse character roster, rich online modes, tons of gripping multiplayer offerings, and the aforementioned simplified yet engrossing single player modes certainly help it to become the Wii U's finest title and the best iteration of the franchise to date.